Other clans preferred to stay in deeper, more secluded areas. Merminians hunted for food, but never for the spoils of buried ships. If the Litiants were picking a fight with Merminians, it was not about treasure or land. It must be about bragging rights, she concluded. "...These things you do out of kindness do not change that you helped bring me here. You took me from my home. You took me away from everything I love. I can never get that back." "Our mermaids braid seashells and flowers in their hair as a way of saying they are old enough for a mate. 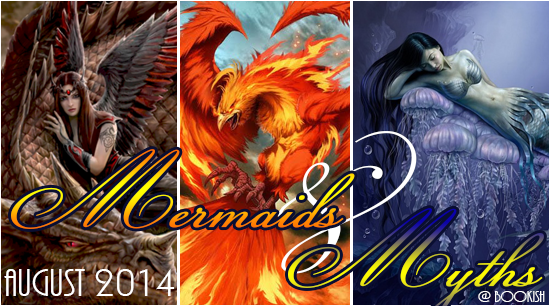 Mermen in our clan wait hundreds more years for some sort of confirmation or decision that a mermaid will be theirs. I find the drawn out display silly; the back and forth between likely pairs drags on far too long. I never wanted to be fickle with any merman's emotions like that especially when I didn't have feelings for anyone." This is the type of read that I believe will convert the mermaid doubters, into mermaid lovers. Cole's writing is as magical as the world she has created and I was immediately drawn in. What will draw you in is the phenomenal start. The background that simply given, and yet weaves a beautiful and tragic beginning. It may be something many would take for granted, but honestly it was brilliant and brought something unique to the table. There is so many unique things that this book brings to the table. Mentioned above is the instant background, but the world building after that is also breathtaking. There is a division of the people that live underwater. Though this on its own is not out of the ordinary, what the author did with it after that is. Each set of peoples Mermaids is bestowed with their own unique gift. This is not something that mingles or is a choice, it is something that they are born with. The same as the Mermen are the protectors. At first I thought that it was horrible that the females were painted as weak, but it is not that way for every group and simply put there were reasons that justified it. The way in which everything flowed and eventually intertwined. There was action in one way or another throughout, and I was never left wishing things would speed up but remained content with the pacing. Selinne is the girl that chooses to be like none of the other girls in her tribe. However, she is the girl that does not always think rationally. She lead with her heart and followed with her head to start, and though this sounds infuriating it wasn't. There was something about her that almost reminded me of Ariel, which made me love her. NO, she didn't swim around singing but she felt there was more to things, than the other females believed. She didn't want her life to be about picking a mate and settling down. Her father raised her to be more free, make her own choices. There were a few things that made me wish she wasn't always as stubborn, or saw things differently but I soon accepted that it is what it is. Merminia was an amazing read with so many unexpected twists, and such a unique story that I am excited that I have book two in my hands. It came in the mail as I was writing this review and it is a wonderful feeling. There are no words for how I feel about this book exactly, or I can't find the right ones. 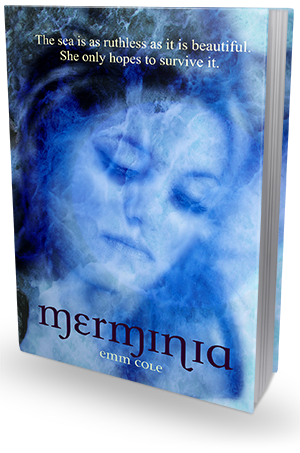 I truly feel that this book will appeal to people that, Mermaids don't normally aren't their thing. How could you not love something that is Mermaid and yet the elements that it brings to the table are so much more. Pick this up without hesitation if you love Mermaids, and if you normally would pass... Well give it a go because I swear it will be like nothing you have read before!